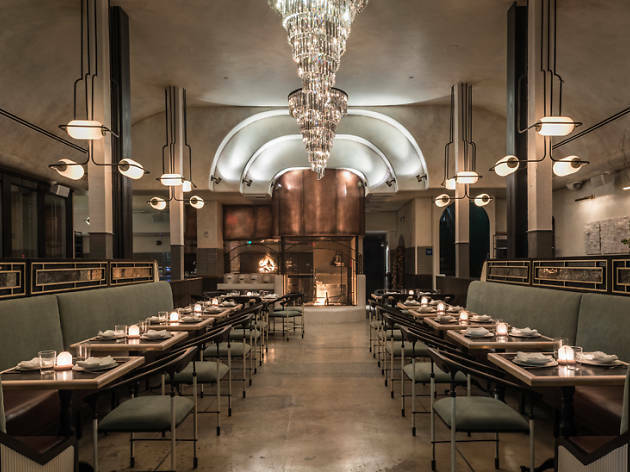 Forget the hours spent tending to the turkey and heating up your house in this unseasonably warm November—this year, spend Thanksgiving at some of L.A.’s best restaurants, which just so happen to be hosting brunch, lunch or dinner on Thanksgiving Day. Buffets, bottomless bubbly and prix-fixe menus abound, and so do the turkey-centric feasts and vegetarian and vegan options. No matter what you’re looking for, you’ll find it here—just like you’ll find a clean, unused kitchen when you return home. 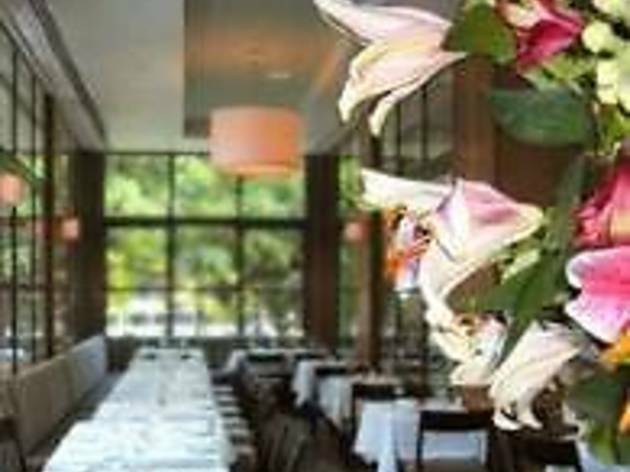 Menu: Down the street from Akasha, settle in at chef Akasha Richmond’s Italian concept for an untraditional three-course prix-fixe feast with tons of options. 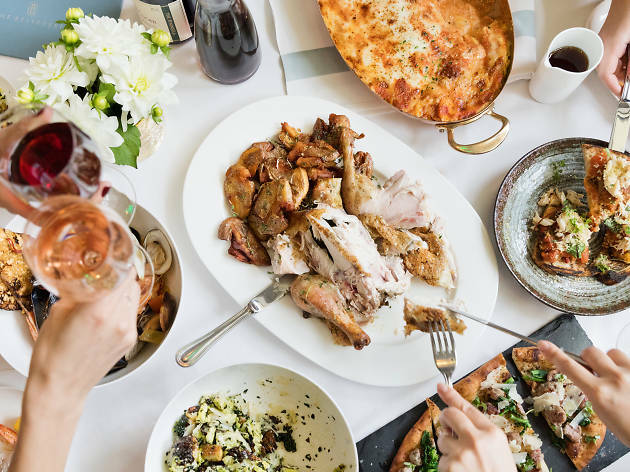 There’s an antipasti selection for the table; squash-filled pasta; porchetta-style turkey with sage-and-chestnut stuffing; grilled branzino with braised kale; wild-mushroom ragu; an array of sides; and pumpkin-ricotta cheesecake, among other high notes to end on. Menu: Make your way to Barton G., where this year’s three-course menu includes roasted pumpkin soup with maple crème fraîche; herb-roasted turkey breast with confit leg served with apricot-and-sage stuffing, as well as parsnip-and-potato mash, roasted Brussels sprouts with a pistachio crumble, candied yams and other side dishes; and pumpkin doughnuts with a side of cranberry compote, pumpkin butter, spiced warm chocolate and cinnamon anglaise. 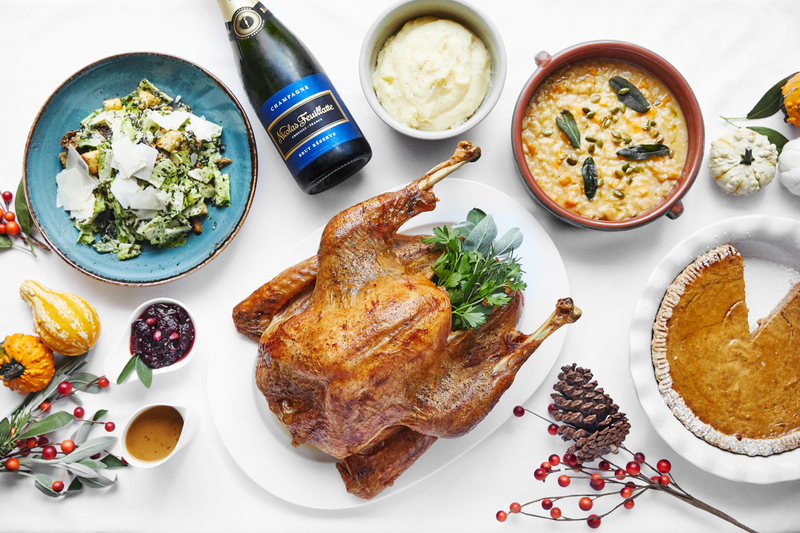 Menu: Do Turkey Day the José Andrés way with not one, not two but three options for Thanksgiving feasting. 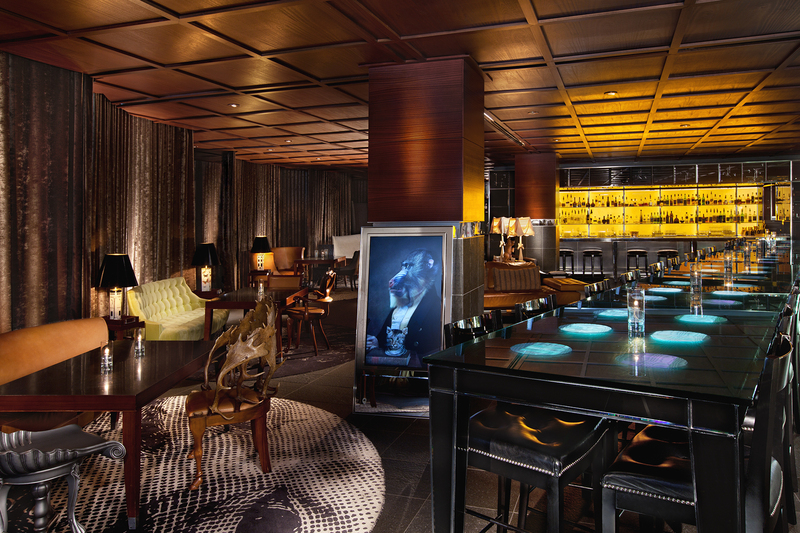 Tres by José Andrés, in the SLS Beverly Hills, will offer a brunch with roast organic turkey; a chilled seafood and caviar display; pastries; cheese; and Spanish-style takes on Thanksgiving classics. Then at dinner, enjoy a prix-fixe meal involving seared lamb chops, organic turkey, gooey pecan bars, butternut squash soup and more. 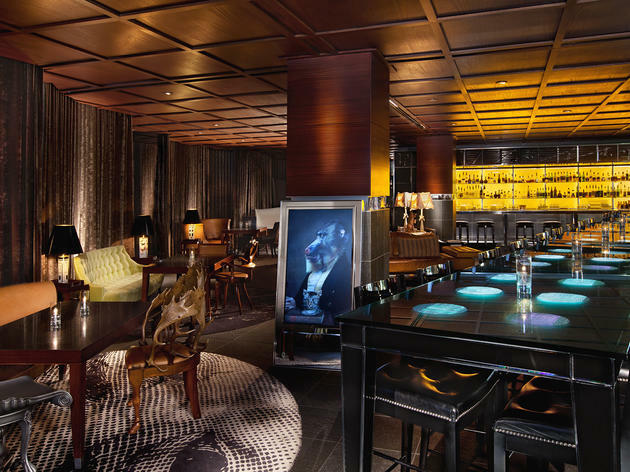 At The Bazaar by José Andrés, executive chef Holly Jivin’ss prix-fixe holiday meal offers family-style turkey and sides such as giblet stuffing, cranberry sauce, mashed sweet potatoes, pumpkin pie, pecan ice cream and other treats. Tres Hours: 11:30am–4pm for brunch; 5–10pm for dinner. Tres Price: $85 per adult, $45 per child for brunch; $75 for dinner. The Bazaar price: $100 per adult, $55 per child. 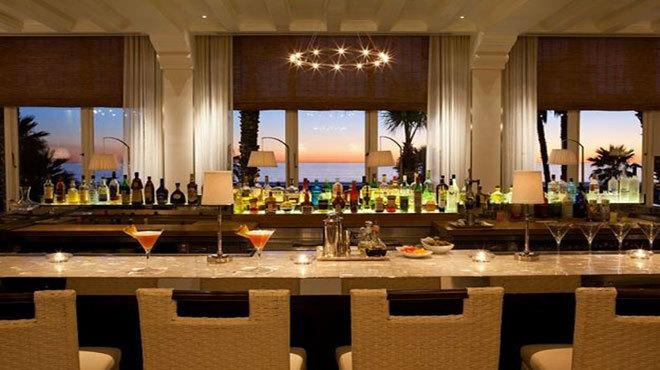 Menu: This feast at the Peninsula Beverly Hills hotel is one of the classiest on our list, most notably because it includes live music and bottomless bubbly. Starters including butternut squash risotto and chicken liver mousse, while entrées involve all the holiday staples such as free-range turkey with sage stuffing, pomegranate-roasted Brussels sprouts and buttermilk mashed potatoes, as well as roasted filet of beef with celery root, cipollini onions, and truffle. Menu: Head to this Glendale steakhouse for an elegant three-course dinner featuring the traditional—roasted heritage turkey with stuffing and cranberry mostarda—and the more exotic, like Mediterranean branzino with madras curry or some smoked trout with baby beets, with a bevy of sides for the table. Want to make it even classier? 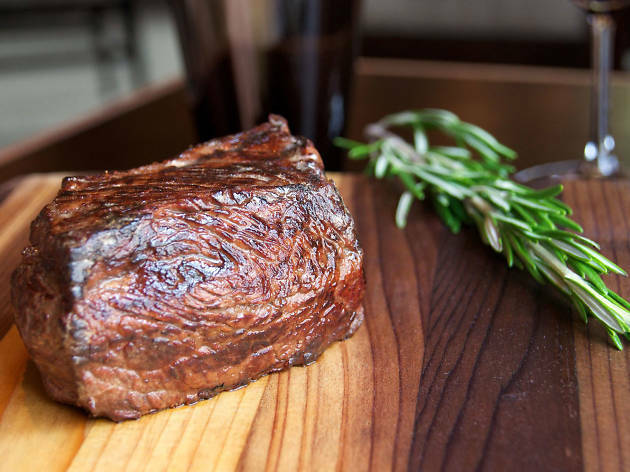 There are a number of high-ticket dishes available for a few extra dollars such as grilled Santa Barbara spot prawns, the 20-ounce 35-day-dry-aged rib eye, and even Michael Mina’s lobster pot pie. 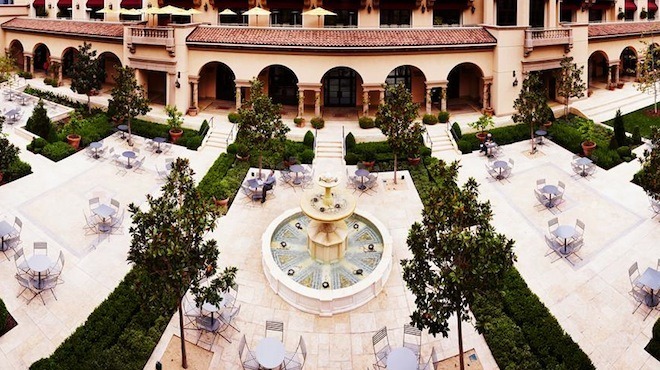 Menu: This California-French restaurant with a gorgeous, tree-dotted patio will be serving your choice of a three- or four-course prix-fixe dinner with both traditional fare and a few brow-raising dishes, to boot. Find sliced turkey breast with heirloom cauliflower and mole; sunchoke soup with a red wine and shallot jam; and filet mignon au poivre. Finish with pumpkin mousse or an apple crumble to really get into the fall spirit. 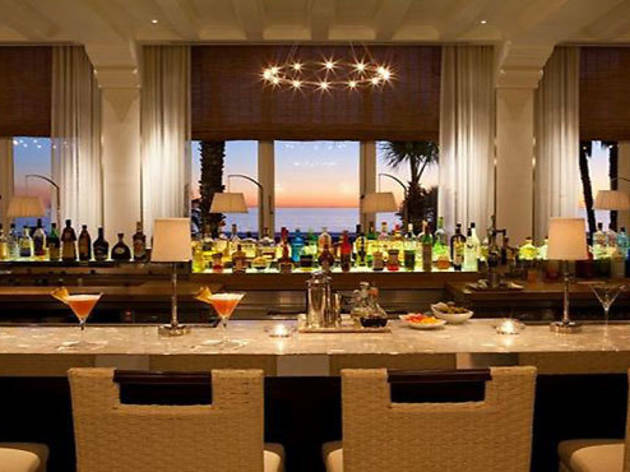 Menu: Enjoy your Turkey Day seaside at Catch in the Hotel del Mar, because chef Gemma Grayis whipping up all the classics and even a few contemporary plates right at the beach. 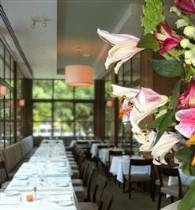 Look for a prix-fixe involving slow-roasted organic turkey with apple and chestnut stuffing, as well as roasted cauliflower pie with wild mushrooms, and Japanese snapper crudo with pumpkin vinaigrette. 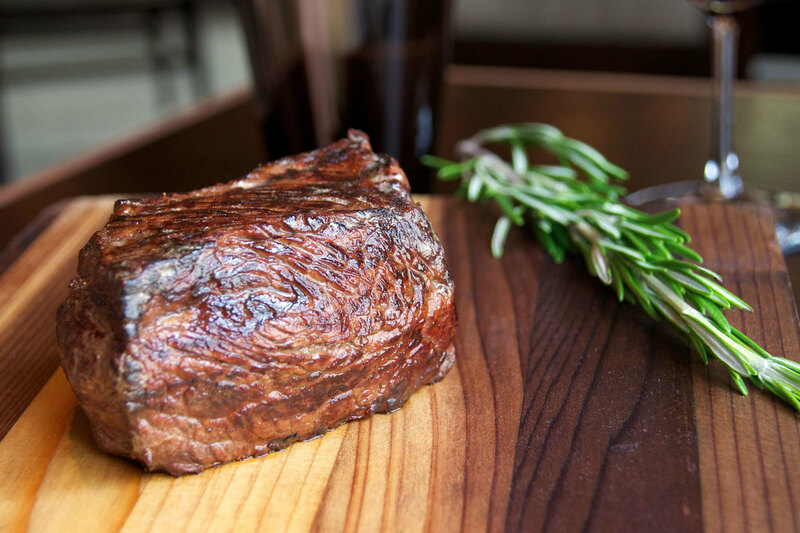 Menu: The annual feast at Tom Colicchio’s CRAFT begins with for-the-table starters such as pork belly with celery root, then proceeds to your choice of roasted, organic free-range turkey; angus beef short ribs; seafood; and pasta. Pass around the family-style sides such as sausage-and-raisin stuffing and Brussels sprouts, and, as it’s the highlight of just about every visit to CRAFT, don’t forget the selection of desserts artfully whipped up by pastry chef Shannon Swindle. Menu: Chef Curtis Stone’s four-course, prix-fixe meal skews classic and fine-dining with dishes such as chestnut velouté with pear and brown butter; roast turkey with gravy and braised-and-pulled dark meat in cocotte; mac and cheese agnolotti with smoked pork emulsion; and a range of sides, including duck fat potatoes, cranberry sauce, stuffing and Brussels sprouts with bacon jam. Finish with Stone’s take on apple pie and a selection of petit fours. If you’re one of those domesticated types hellbent on making your own meal, the butcher shop is selling turkeys to aid you in your delicious endeavor. Menu: Josiah Citrin’s fine-dining institution, Mélisse, is offering a four-course prix-fixe meal that feels anything but limited: Each course includes four or five choices, and you even get your pick of three of Citrin’s mom’s traditional sides. Just a few dishes from the lengthy and mouth-watering menu: Maine diver scallops with foie gras, young turnips, porcini and a truffle consommé; whole-roasted dry-aged prime rib with horseradish jus; herb-roasted free-range turkey served with chanterelle mushrooms, apple-and-brioche stuffing and pomegranate gravy; and pecan pie with Dulcey and bourbon sauce and whipped crème fraîche. Whew. 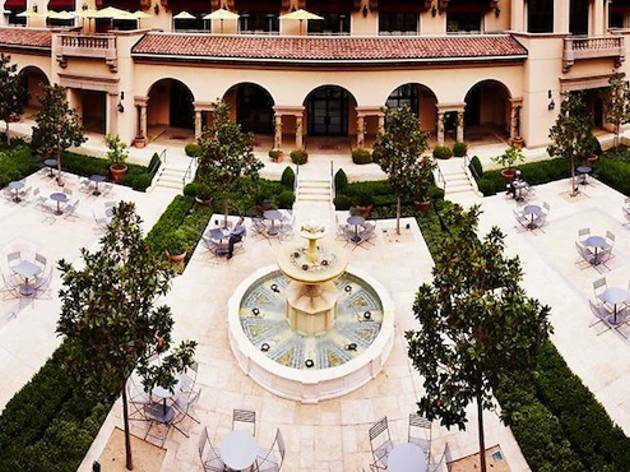 Menu: This swanky Beverly Hills resort is offering not one but three Thanksgiving Day options for you and yours, including dishes such as herb-roasted turkey, spiced prime rib and sweet potato gnocchi. At the Restaurant, stop by for brunch from 11am to 3:30pm, where you’ll find a sprawling buffet—complete with carving station—for $128 per adult and $39 per child aged 4-12 (find the full buffet menu here). Looking for a more formal dinner? 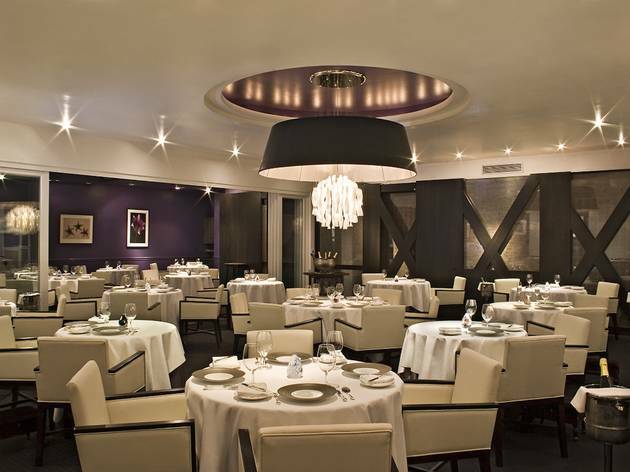 Between 5 and 9:30pm, the Restaurant hosts a four-course family-style feast for $105 per adult and $39 per child aged 4 to 12 (find the dinner menu here). If you’re hoping for a more casual affair, head to the Rooftop Grill for a three-course prix-fixe menu with holiday-inspired specials from 11am to 5pm, at $85 per adult and $39 per child aged 4 to 12. 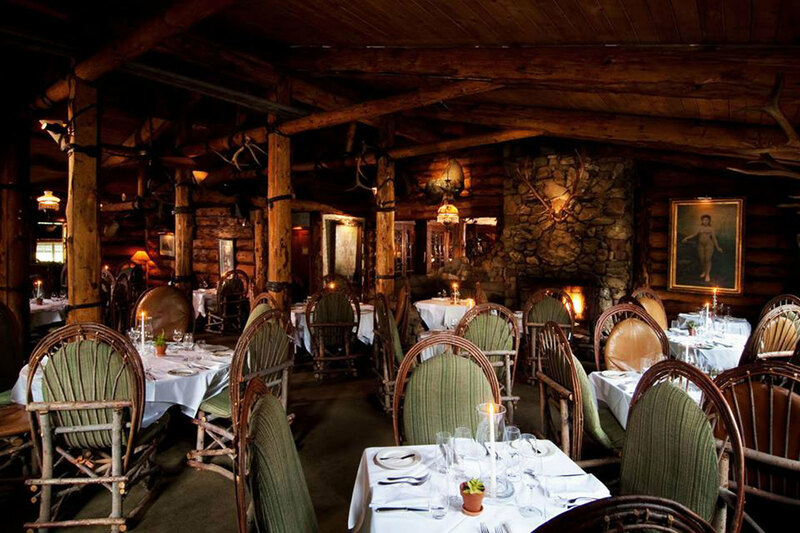 Reservations: Contact information for each meal can be found here. 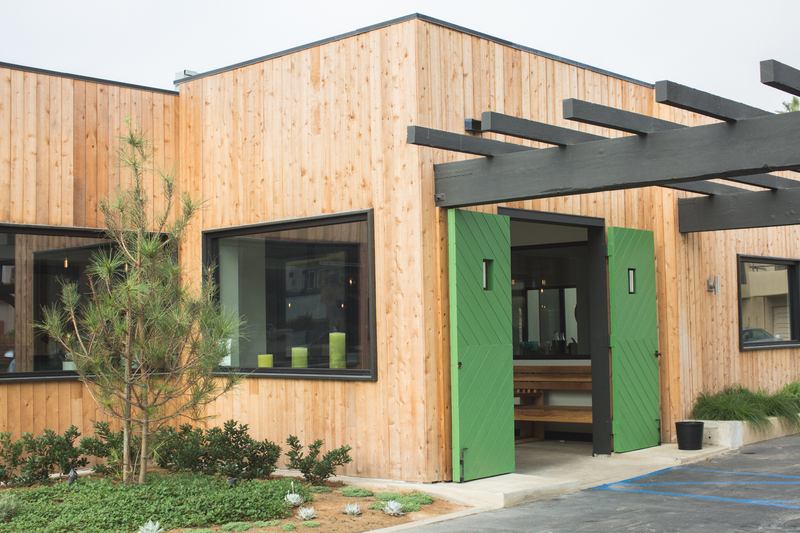 Menu: Take Turkey to the beach at Playa Provisions, which is offering a downright steal of a meal: just $38 to feast on roast turkey or honey mustard ham, plus a variety of sides, including chicory salad, roasted acorn squash and cranberry sauce. 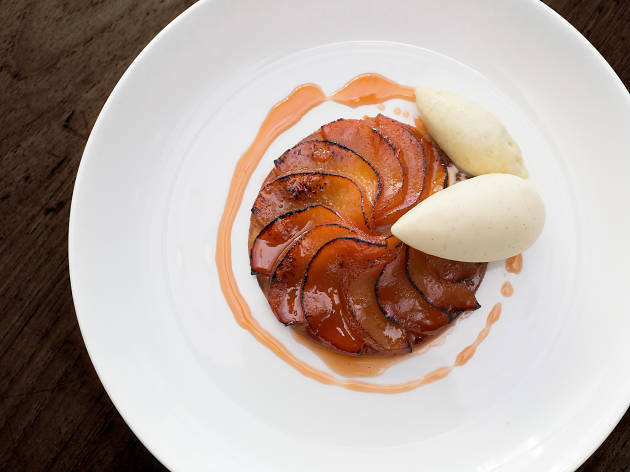 Finish with a selection of seasonal desserts including but not limited to pumpkin pie and cran-apple pie. 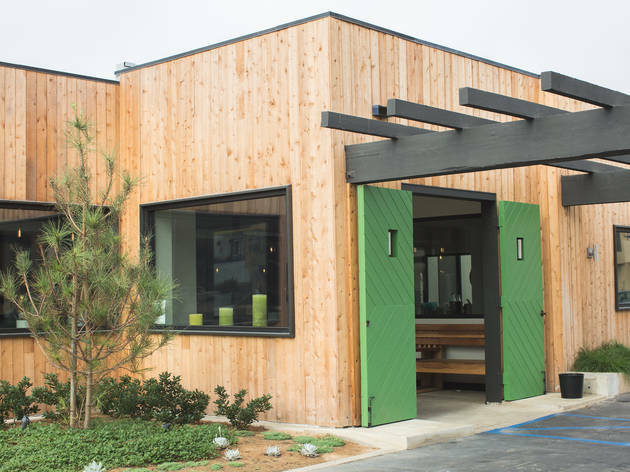 This is a highly kid-friendly option, but if you’re looking for something a bit more adult, round the corner to Playa Provisions’ whiskey bar, Grain, which will be offering à la carte holiday specials in liquid form. 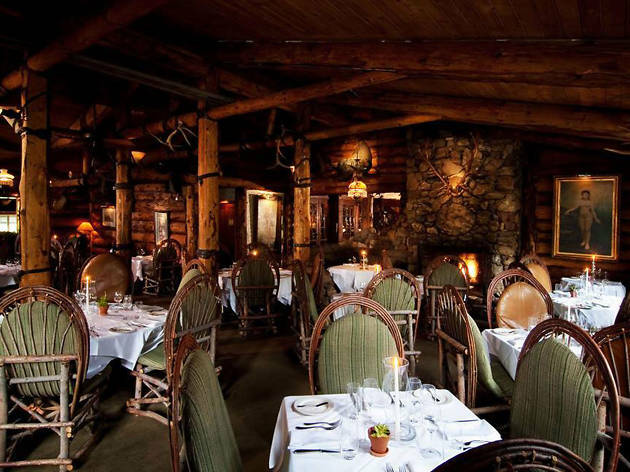 Menu: Head to this rustic mountain lodge for a four-course meal that lets you choose from hearty dishes like buffalo tartare, seared elk tenderloin with a foie gras and mushroom sauce, roast turkey with sausage-and-apple stuffing, and grilled quail with spiced cherries. Pro tip: Don’t leave before the pumpkin pie or banana-huckleberry bread pudding. Menu: Suzanne Goin, Caroline Styne and chef de cuisine Joel Walsh are bringing a little something for everyone to their Thanksgiving table, with options for omnivores, vegetarians and vegans alike. 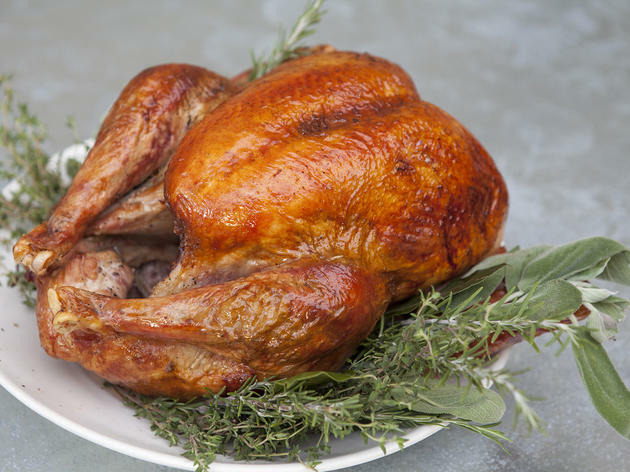 Settle in for a three-course meal that offers herb-roasted organic turkey breast and stuffed leg with mashed potatoes, gravy, Brussels sprouts with pancetta and thyme, cranberry sauce with mint and orange, sweet potatoes with sherry, and sourdough stuffing with turkey sausage. There’s even the “vegan Thanksgiving extravaganza” option, which offers sweet potatoes, Brussels sprouts, fingerling potatoes, Italian broccoli and Suzanne’s stuffing and wild-mushroom persillade. 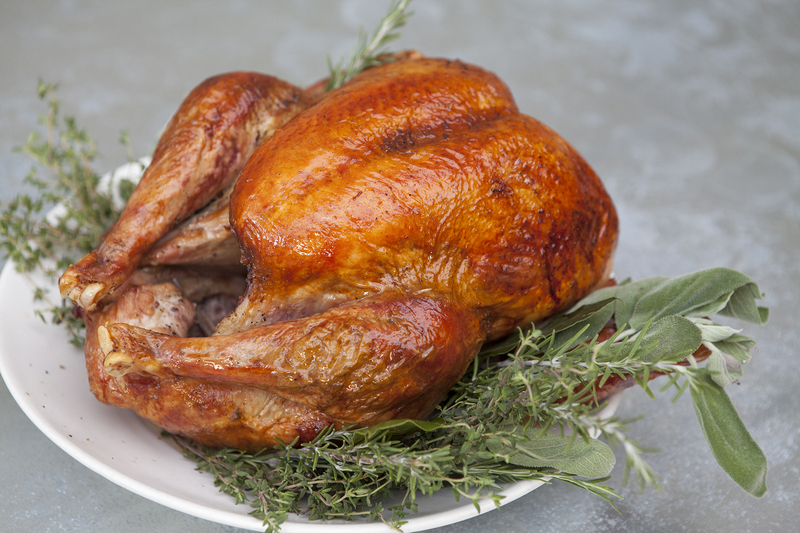 Looking to dine at home instead this Thanksgiving? 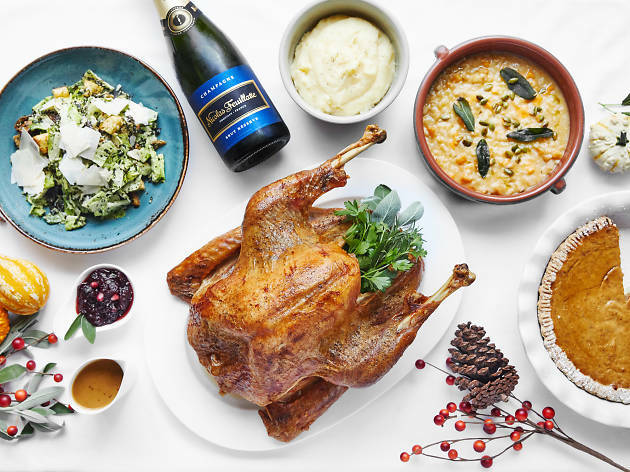 If you want to enjoy the goodness of a delicious Thanksgiving meal in your own home without having to turn the oven on, these restaurants are offering Thanksgiving dinners to go, with options for vegans and meat lovers alike.